The Trump administration’s immigration policy, already in flux after the ousting of Department of Homeland Security Secretary Kirstjen Nielsen over the weekend, was thrown into further confusion Tuesday when the president denied he intended to reinstitute large-scale separations of parents and children at the border. Nielsen’s reported reluctance to bring back the policy of family separation, which she had defended when it was first in place, was widely believed to be behind her sudden resignation on Sunday. In a brief meeting with reporters, Trump also claimed, inaccurately, that the policy originated with President Barack Obama. 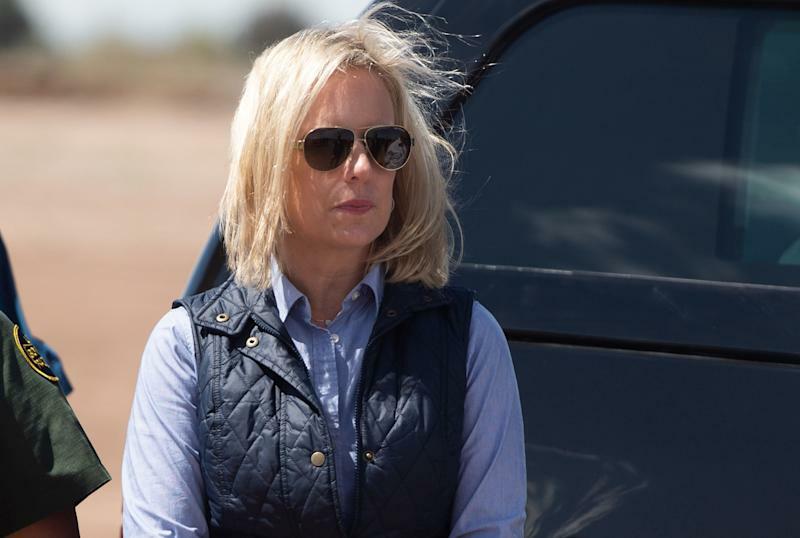 Kirstjen Nielsen’s long-anticipated departure from the Department of Homeland Security (DHS) on Sunday seemed to foreshadow a broader overhaul of the department’s top brass amid growing frustration in the White House over the continuing flow of migrants to the southern border. On Monday, the White House confirmed that Secret Service Director Randolph Alles had also been asked to leave his post, and a number of news outlets reported that officials expect the departure of at least two other agency heads: L. Francis Cissna, director of U.S. Citizenship and Immigration Services, and John Mitnick, general counsel for DHS. Beginning with Trump’s executive order on Jan. 27, 2017, banning residents of seven majority-Muslim countries from entering the United States, much of his immigration agenda, a cornerstone of his presidential campaign, has been blocked in the courts. Miller was the architect of many of these policies. For the past several months at least, White House and DHS officials have repeatedly called for Congress to change existing federal laws and seek to reverse court rulings that prohibit actions such as turning away asylum seekers at the border, forcibly separating young children from their parents or detaining immigrant children for more than 20 days in an unlicensed childcare facility. The only way to truly fix this border emergency is with emergency legislation. Misguided court decisions and outdated laws have created loopholes that are the main cause of today’s crisis. @DHSgov cannot travel this road alone—we need Congress to do its job so we can do ours. 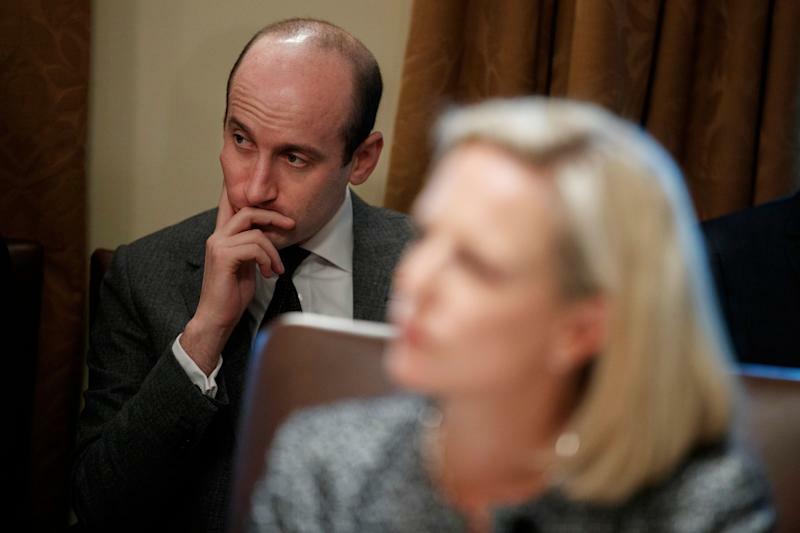 But reports of the disagreements that drove Nielsen to submit her letter of resignation Sunday suggest that Trump and Miller may be looking for officials who are more willing to work around — or even ignore — the law. NBC News first reported Monday that Trump has been pushing for months to resume conducting mass separations of migrant families along the southwest border. A deliberate outcome of former Attorney General Jeff Sessions’s “zero tolerance” policy of prosecuting all adults caught crossing the border illegally, the administration’s prior use of family separation has resulted in public outrage, multiple federal court orders against the administration, and unknown numbers of families in which children and parents have been indefinitely separated. At the time, Nielsen denied that a family separation policy was in effect, even while overseeing its implementation as a direct and deliberate outcome of zero tolerance, and as a result has been portrayed by immigration advocates as the face of the administration’s inhumane policies. Yet Nielsen reportedly pushed back against the president’s latest efforts to revive and, according to CNN, even expand family separation to deter the flow of migrants to the border. She reportedly explained to Trump that doing so would both violate federal court orders and contradict his own executive order from last June, which ended family separations. Trump’s comments to reporters Tuesday echoed previous attempts to defend his administration’s widespread separation of migrant families by claiming that his predecessor had carried out the exact same policy. Separations of adults and children apprehended at the border did occur under the Obama and Bush administrations, but they were not part of a blanket policy comparable to “zero tolerance.” Instead, they usually arose from lack of certainty over a family connection, suspicions that the children might be the subjects of trafficking, or other concerns about the children’s welfare. Bersin sees reports of Nielsen’s behind-the-scenes resistance, even if accurate, as too little too late. Trump broke the news of Nielsen’s departure via Twitter Sunday evening, announcing in a subsequent tweet that Kevin McAleenan, the current head of U.S. Customs and Border Protection, will take over as acting DHS secretary in Nielsen’s stead. "I hope not too far at all because Kevin is a good man who shouldn’t stain his reputation for integrity on behalf of a president who so little appreciates or honors the people who work for him," said Bersin. 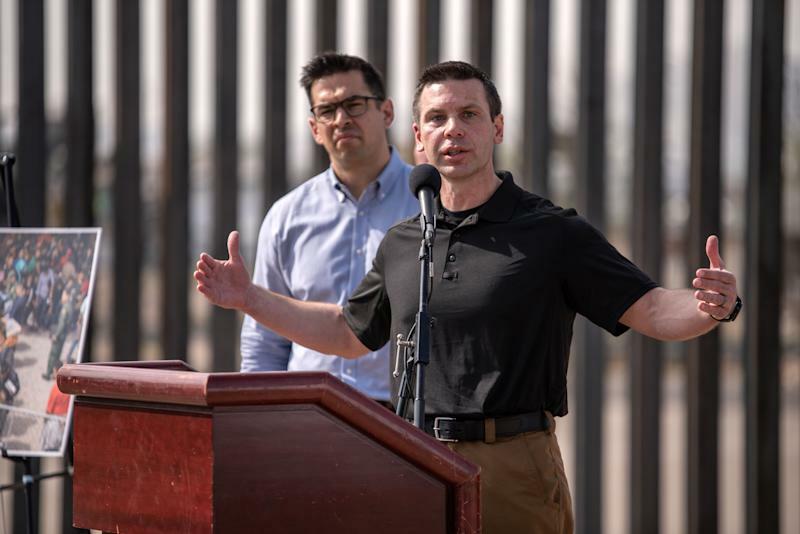 McAleenan, who oversaw CBP’s implementation of zero tolerance the first time around, has not ruled out the possibility of reinstituting family separation. 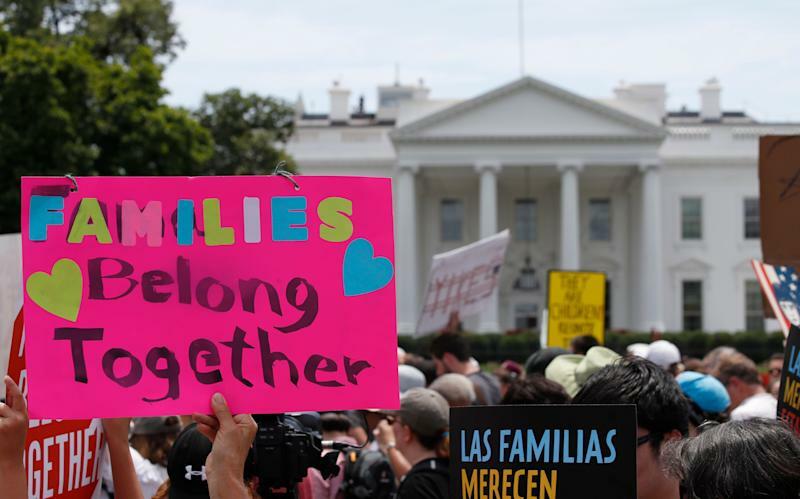 He is reportedly considering a policy that would offer parents a “binary choice” of being separated from their children or held together as a family in a long-term detention facility, an option that raises several legal and logistical concerns. Ultimately, Bersin argued, separating families is simply far more harmful than it is effective. “You don’t need to go to that length to achieve the objective that we want, which is to have people stop claiming asylum when they’re not entitled to it and not to come up and be permitted to enter the country while they’re waiting for their petitions to be adjudicated," he said, insisting that the best solution would be to reform the U.S. asylum system through legislation. Nielsen had attempted to end the so-called catch and release practice by implementing a controversial policy of her own, forcing asylum seekers to wait in Mexico for an immigration court hearing, which could be months or years away, instead of being paroled into the United States. Though initially just implemented at the San Ysidro port of entry south of San Diego, the policy was scheduled to be expanded to other entry points. On Monday, one day after Nielsen’s resignation, a federal judge in San Francisco blocked implementation of Nielsen’s signature policy. The government has until Friday to appeal his ruling. Nielsen had reportedly objected to Trump’s threat to shut some or all of the legal ports of entry along the border, a step that could have disrupted billions of dollars in trade as well as the daily commutes of countless citizens of both countries. She also looked for a way around the law to allow for the administration to deny asylum seekers entry into the country. 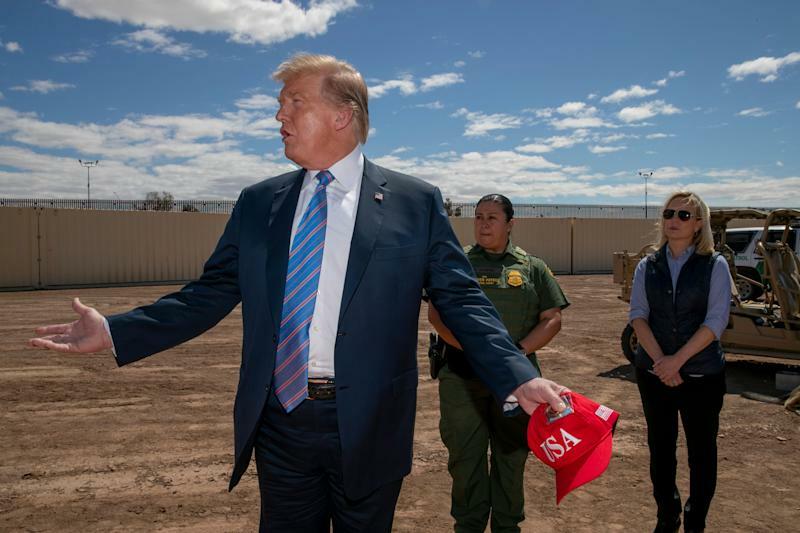 The effort was unsuccessful, but Trump nevertheless pushed for the policy, reportedly telling Border Patrol agents during a visit to Calexico, Calif., last week that they should not allow migrants into the country. According to CNN, the agents later consulted their superiors about the president’s instructions and were advised that those were not official orders and that if they did what Trump had told them, it would be at their own risk, as they are required to follow the law. “The president is not a king. He must follow the law,” said Rep. Lucille Roybal-Allard, D-Calif., in a statement issued Tuesday, referring to reports that Trump is reportedly asking administration officials to carry out unlawful policies. The shakeup at DHS has alarmed even some of Trump’s staunch allies on immigration. Sen. Chuck Grassley, R-Iowa, warned the president not to go through with rumored plans to fire the director of the Citizenship and Immigration Services, L. Francis Cissna. “Removing Francis Cissna would be a massive blunder, as he is one of the most competent officials in the administration,” said RJ Hauman, government relations director at the Federation for American Immigration Reform (FAIR), a Washington-based organization that lobbies for overall reductions in legal and illegal immigration. Neither the White House nor DHS responded to requests for comment or confirmation of reports about the expected departures of Cissna as well as Mitnick, in the general counsel’s office. Trump has not indicated whether he intends to nominate McAleenan or someone else for the permanent role of DHS director. If he does not, the department’s more than 240,000 employees will join the growing ranks of government officials working without a permanent leader.